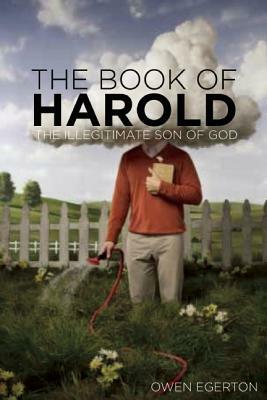 The Book of Harold is as profound and deeply respectful a novel as it is irreverent in its wild, often hilarious take on a modern messianic movement in suburbia. The titular and sometimes exasperating hero of this masterful satire is Harold Peeks, a middle-aged suburbanite living a lonely if typical modern life in the outskirts of Houston, Texas. His world feels bland and pointless until one evening at a mundane office party he announces to his stunned co-workers that he is the Second Coming of Christ. Oddly enough, people start to believe him. Blake Waterson, Harold’s closest friend and narrator of the novel, is as skeptical as anyone of this disheveled and disconcertingly bawdy Savior and yet this would-be Judas is compelled to follow Harold on his two-hundred mile walking journey to Austin with a mismatched group of equally puzzled disciples. On the road, this motley crew of witnesses to the holy get to experience misguided converts, violent possums, and the ungrateful recipients of off-kilter healings. They also discover the inherent paradoxes, absurdities, and dangers of spirituality, as they learn that saviors may not have all the answers, and humanity is just as bizarre and beautiful as the beliefs we hold. Only Owen Egerton can create a new religion around a former computer salesman and make you want to up and take a pilgrimage to Austin with the rest of the Haroldians. Egerton has the gift of walking that fine line between hilarity and heart with grace. Follow. I love every word that Owen Egerton writes or utters and The Book of Harold bumps my admiration up to a new level. It takes a brave author to attempt satire these days. But it takes Owen Egerton to make it the wise, hilarious, finely-observed, and, ultimately, compassionate ring-tailed delight that The Book of Harold is. A lively and beautifully crafted novel about the anguish of belief. 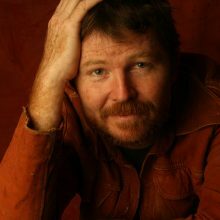 OWEN EGERTON is the author of two novels, The Book of Harold and Everyone Says That at the End of the World, and one story collection, How Best to Avoid Dying, all published to positive reviews. He’s also the writer/director of the psychological horror film Follow. As a screenwriter Egerton has written for Fox, Disney, and Warner Brothers. His pieces have appeared in the Huffington Post and Salon. 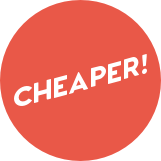 He cowrote the creative writing guide This Word Now with his wife, poet Jodi Egerton. Egerton also hosts public radio’s The Write Up. He lives in Austin, Texas.